Ep. 56 - Shift happens @Shift Charlotte - CLT's Largest Mind/Body/Spirit Expo! 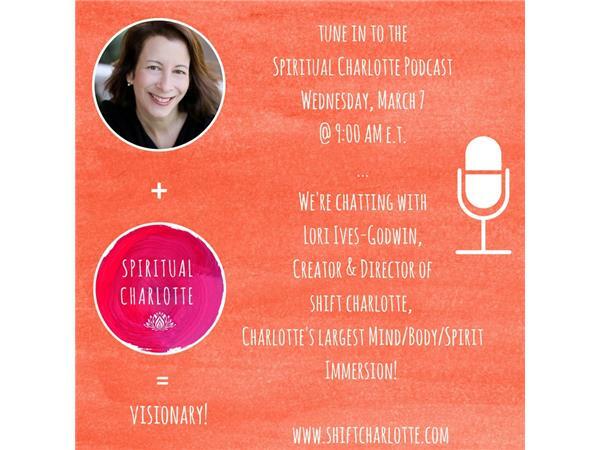 SHIFT Charlotte, Charlotte's largest Mind/Body/Spirit Immersion weekend, is right around the corner (March 23 & 24, 2018) and today Co-hosts, Kendall Heath and Debbie Chisholm, are talking all things mind/body/spirit with Shift's Founding & Directing Creative Force (to be reckoned with), Lori Ives-Godwin! Lori tells her own story of being a refugee from corporate America about a decade ago and making the life-changing and life-affirming transition into holistic health and ultimately holistic health networking. A once self-proclaimed close-minded person, local healing professionals and the support of a conscious community lead her to more openness, health, and happiness. And now, Shift Charlotte helps others to be a part of the same community and experience the potential for personal transformation and spiritual support! Lori talks about what the Shift Charlotte experience is and what it isn't, why YOU might be interested in it, and what you can expect this year at this light-filled conference of speakers, workshop presenters, holistic healers, readers, and vendors!